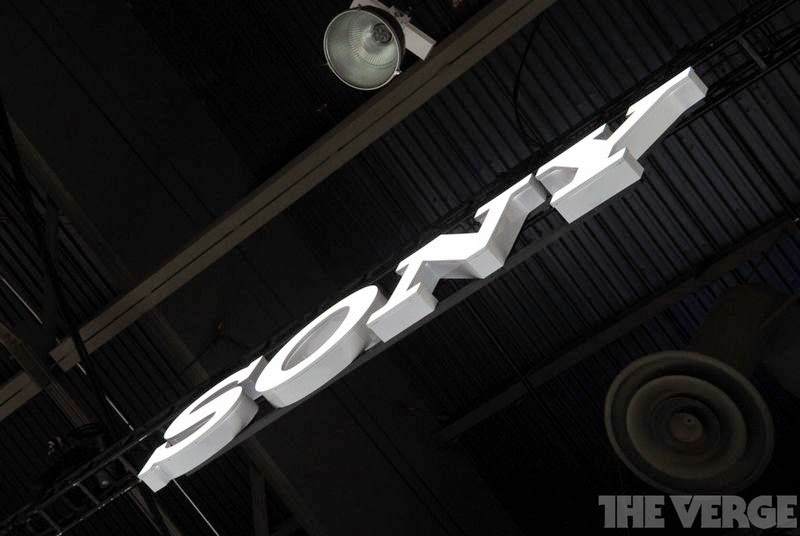 Sony has today detailed the cloud-based TV service it originally announced at CES 2014. 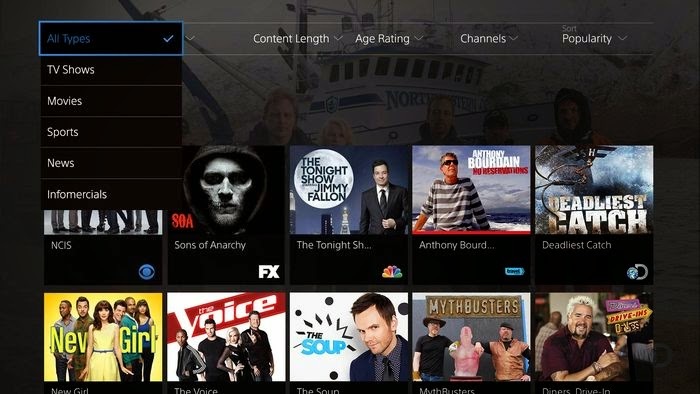 Called PlayStation Vue, it aims to offer an array of TV channels without a monthly contract across a range of devices, and is Sony's bid to offer a TV service that it hopes will replace traditional cable subscriptions. The company says the invite-only beta version of the streaming service will first be available on PS4 and PS3 in November, before rolling out to iPad, and later other "Sony and non-Sony devices." The beta version of the service will launch first in New York, with around 75 channels per market, including channels owned by CBS, Fox, and NBCUniversal. Price and packages will be revealed at launch, but Sony says that the service won't require any monthly contracts, won't need any extra hardware to use, and won't demand any installation charges. "Vue will be available first on PS4 and PS3, before rolling out to iPad and other devices"
Andrew House, president of Sony Computer Entertainment, says that Sony built PlayStation Vue - which is set to arrive on Sony home consoles first — to "stay true to gamers." But speaking to Bloomberg BusinessWeek, House altered his gamer-first message. "This is an opportunity, in my view, to fulfil a longer goal of transforming what was in the past a dedicated game device into a proper entertainment hub," he said, suggesting that his company can tweak the perception of the PlayStation 4 and aim it at the mass market as a cable box replacement. "There is nothing in entertainment as broad as the mass-market live-TV space." ther companies have tried to offer alternatives to old-style cable subscriptions, but without access to the range of channels, movies, and live sporting events as cable providers, they haven't seen huge success. Sony, too, may find it tough to navigate the stipulations set out by TV content providers — Bloomberg notes that some channels aren't available on the mobile service thanks to the peculiarities of the deals Sony could sign, and shows can't be kept for longer than 28 days. But Sony's service appears smartly designed, aping cable TV but improving on it by letting people watch everything shown over the last three days at any time, without recording it beforehand. With experience in the sector and a profitable PlayStation division behind it, Sony might be able to give the new Vue the kind of kickstart it needs to get people cutting their cords. 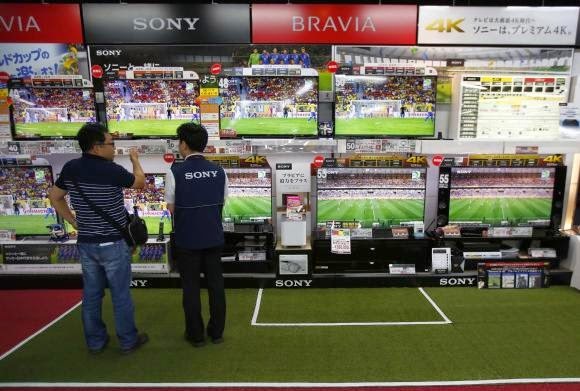 A shopper (L) looks at Sony Corp's Bravia television sets screening a soccer match at an electronics retail store in Tokyo June 10, 2014. Sony Corp (6758.T) is confident its TV division will move into the black this financial year after a decade in the red, even if it falls short of its volume sales target, the head of the newly independent division said on Monday. 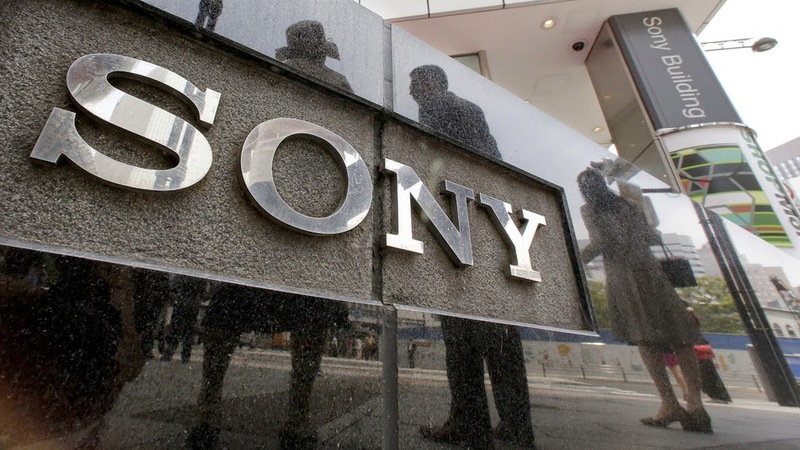 Masashi Imamura told a media round table that the TV business, which will become a separate subsidiary of Sony Corp on July 1, had reduced fixed costs during the last financial year, and profitability was now in sight. He said Sony this year would be able to absorb the impact of any fluctuations in emerging market currencies, a factor he blamed for the unit's failure to make a profit last year. Sony has forecast an 18.5 percent rise in TV sales to 16 million units this year from 13.5 million units a year ago, an increase that analysts said was well above the industry's average growth forecasts. Imamura said the sales target was achievable, but added that the TV business would still turn a profit even if sales fell short of this goal. Sony's TV division will be split off from the parent company on Tuesday, a move aimed at boosting transparency and accountability in a bid to achieve and maintain profitability. 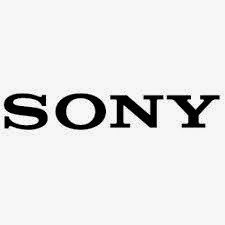 Sony Chief Executive Kazuo Hirai said at a corporate strategy meeting last month that the company had not ruled out an equity tie-up for the TV business, which is to be known as Sony Visual Products Inc, although nothing had been decided on the matter. Sony's TV business has seen relatively rapid turnover at the top over the past decade with six different chiefs, although Imamura has had the longest tenure, serving since August 2011. Sony's shares are down 8 percent so far this year, in line with the benchmark Nikkei average's .N225 7 percent drop. 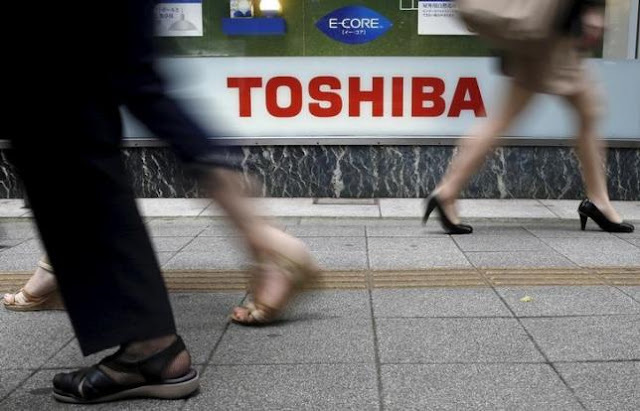 On Monday, they ended 0.2 percent higher at 1,682 yen, compared with the Nikkei's 0.4 percent rise. Imamura's remarks came after the market closed. 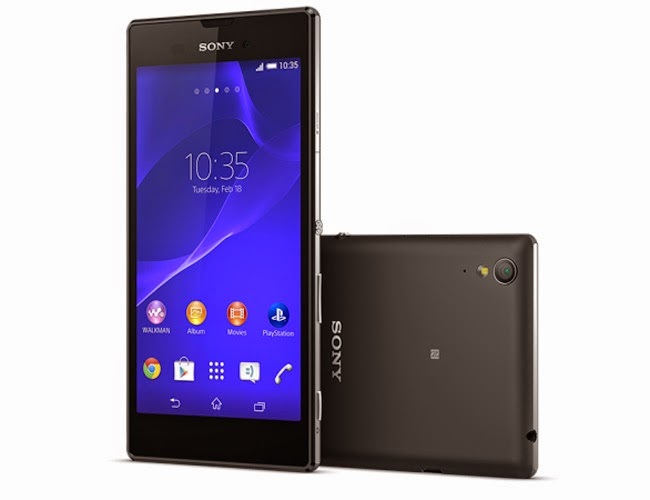 Sony Mobile Communications today introduced Xperia T3, a light and ultra-slim smartphone. In a press release, the Japanese tech major said, "Despite being crafted with high-end materials, the super-slim Xperia T3 remains light at a mere 148 grams, offering freedom and ease for life on the go. The gorgeous, stainless steel frame 'mirrors' the world around you. T3 comes in three stylish colours making it a real eye-catcher: white, black and purple." Built with Sony's BRAVIA technologies, the Xperia T3 has an impressive screen with a high-resolution 5.3-inch HD TRILUMINOS display for mobile with Mobile BRAVIA Engine 2. The device is powered by a Snapdragon 1.4 GHz Qualcomm Quad-core processor and 1 GB of RAM. It runs on Android Kit Kat and has 8GB flash memory, which can be expanded up to 32 GB via a microSD card. It packs a 2500 mAh battery and has a 8-megapixel rear camera. "Xperia T3 has been crafted with attention to detail for those who know how to appreciate distinctive design in their everyday life. The T3 is packed with the latest beautiful technology from Sony - including leading digital imaging expertise and a vivid HD display - all within a stylish, stainless steel frame. The combination of this beautiful technology and the premium design ensures the T3 immediately stands apart from the competition," says Calum MacDougall, Director of Xperia Marketing at Sony Mobile Communications. Xperia T3 features: Sony camera expertise, at your service The Xperia T3 is packed with Cyber-shot leading camera expertise and comes with an 8MP camera featuring Exmor RS for mobile, allowing you to take exceptional pictures even in challenging lighting conditions. And HDR for video means you can shoot beautiful films, even when backlit. Thanks to SteadyShot, all your photos will come out smooth and distortion-free. Super-fast speed for superior surfing Xperia T3 supports super-fast 4G networks, allowing you to share every highlight of your day, anytime and anywhere. With its Quad-core CPU with 1.4 GHz processor, Xperia T3 comes with ultra-fast performance and breath-taking graphics, ideal for entertainment on the go. In addition to its long-lasting 2500 mAh battery, the Battery STAMINA Mode also helps you enjoy your entertainment experience for longer. The combination of its powerful processor, super-fast4G networks, and extensive battery life, shows the Xperia T3 truly combines style with power - allowing you to consume the latest entertainment through the Sony Entertainment Network, browse the internet or share pictures and videos instantaneously. Easy transfer Xperia Transfer is an ultra-easy, safe and simple app that'll help you move your contacts, photos, bookmarks, apps, music, messages and much more from your old Android or iOS device to your new Xperia T3. Furthermore, Xperia Transfer Mobile2 makes the switch even easier - no need to use your PC or Mac, you can transfer directly from phone to phone. 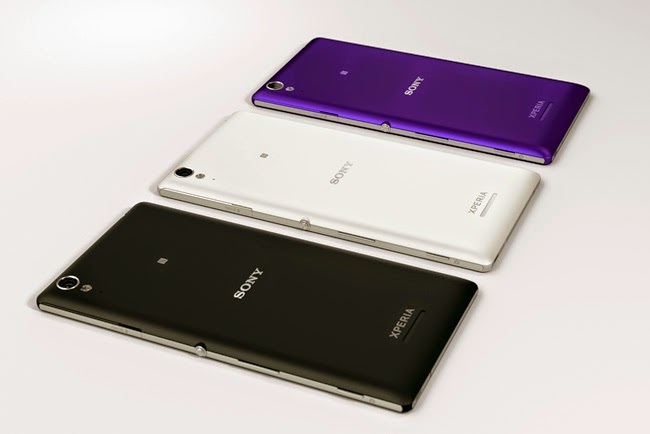 The new Xperia T3 will launch globally from the end of July 2014. 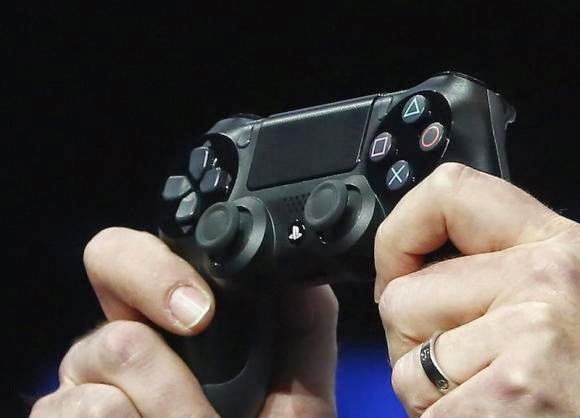 Reuters) - Japan's Sony Corp and China's Shanghai Oriental Pearl Group Co Ltd will set up two joint ventures to make and market Sony's PlayStation games console in China, Shanghai Oriental Pearl said in a stock exchange filing on Monday. One joint venture will be responsible for the console's hardware, while the other will be focused on software, the company said in the filing to the Shanghai Stock Exchange. The joint ventures, which will be in Shanghai's free trade zone, will be set up by a subsidiary of Shanghai Oriental Pearl and by Sony's China arm. Chinese games developers and publishers have also adopted a "free to play" model where games are free and they make money by selling in-game upgrades like extra lives and special weapons. Games consoles traditionally make their money from the sale of the console and games themselves. Sony and Shanghai Oriental Pearl are setting up the joint ventures in response to the suspension of the ban on game consoles within Shanghai's free trade zone, a Sony Computer Entertainment Inc spokesman told Reuters. Sony's move comes one month after Microsoft Corp and its joint-venture partner BesTV New Media Co Ltd announced they would launch Microsoft's flagship Xbox One games console in China in September. Earlier in April, Shanghai's government said console makers such as Sony, Microsoft and Nintendo Co will be able to manufacture and sell consoles in China through "foreign-invested enterprises" in Shanghai's free trade zone, after temporarily lifting the ban on consoles in January. Struggling electronics giant Sony said Wednesday it lost $1.26 billion in the fiscal year to March, blaming costs tied to its exit from the personal computer business as the once-mighty firm undergoes a painful restructuring. The Japanese firm booked a whopping shortfall of 128.37 billion yen ($1.26 billion) and forecast a 50 billion yen net loss in the current fiscal year to March 2015.